With summer quickly approaching, it means that the coats, beanies, and scarves come off! That also means more skin to show! Exposed wrists and necks!! Why not add a great bracelet and pair of earrings to accent that sun-kissed golden tan you will be getting soon? May's workshop will include instruction on how to make your very own wrap bracelet and set of earrings. 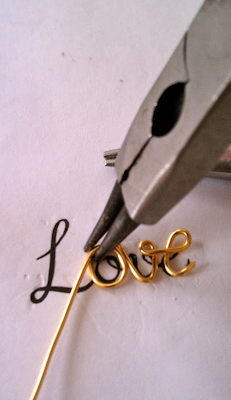 You will learn the basics of jewelry making and the important tools and supplies you need and their purposes. I have hand chosen high quality materials to make these pieces last. 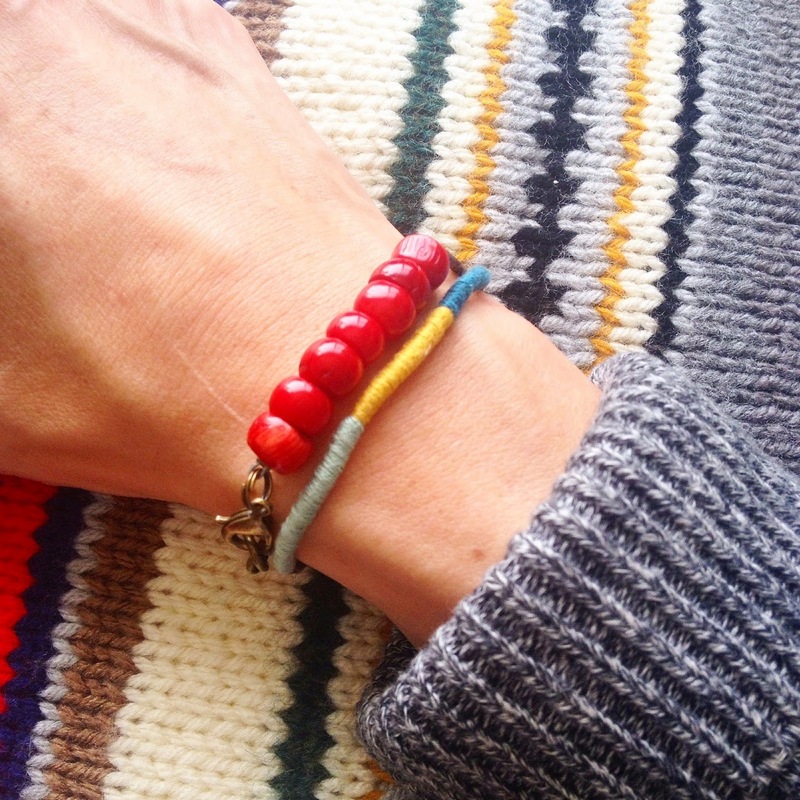 Including: bamboo beads, deer hide leather and 49 strand nylon-coated beading wire. 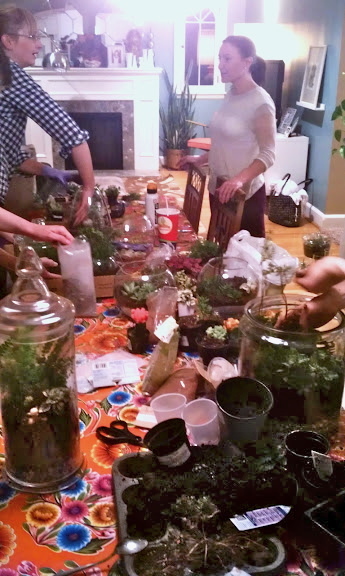 All tools and supplies will be included at the workshop to make it a hassle free event for you! Where: The studio offices of October Ink and White and Gold Design located in Salt Lake City. All questions and inquiries can be sent to hisforhandmade@yahoo.com. We are happy to announce the details of our next H is for Handmade Workshop. Come and make a simple and beautiful clay bird mobile that can be hung and enjoyed anywhere in your home. *You can purchase a ticket to this workshop through the checkout button in the column on the right. Once we have received your payment this reserves your seat in the class. You will receive a confirmation email within 24 hours with more info about the event including the address. Limited seating available so purchase your ticket quick. 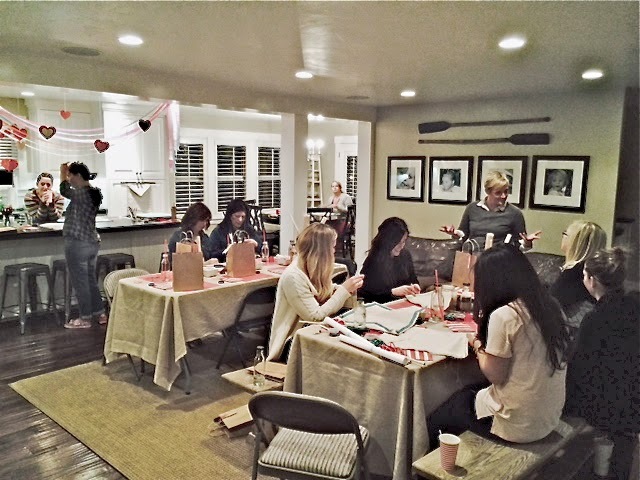 Valentine Workshop - A Success! We want to thank everyone who came out and supported us in our very first workshop! It was such a great evening and seeing everyone with their finished projects was a dream come true! We enjoyed working with each person and offering them hands on help to encourage them to try new techniques and broaden their crafting skills! There were woman of all skill levels there and it was nice to see people come, no matter how much or how little they know! We hope our next class is just as successful...and fun! 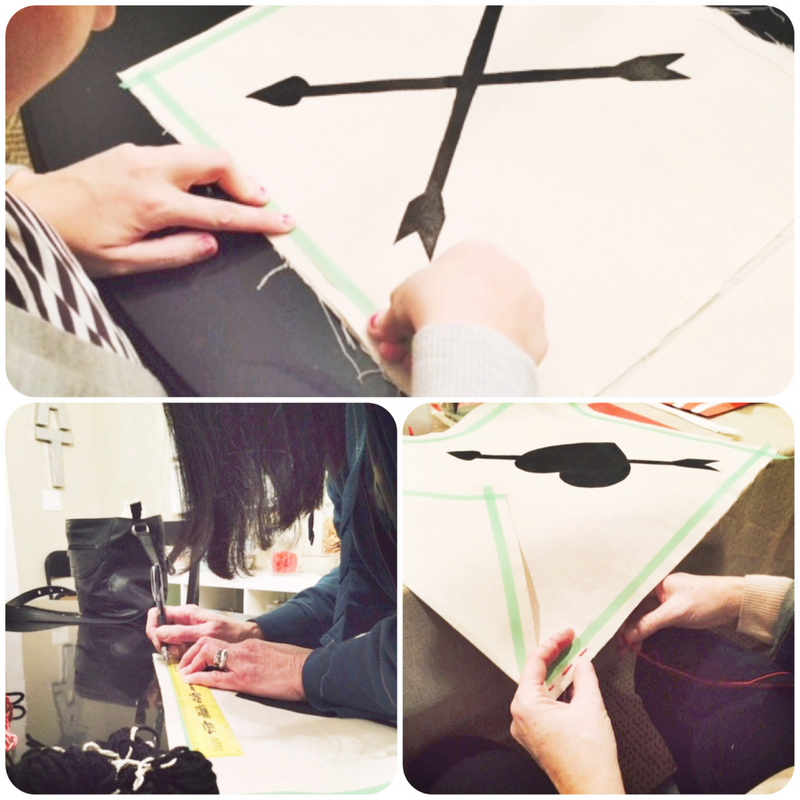 When you come to one of our workshops, we provide all materials and tools for you to use! You just need to show up! We have them packaged pretty, include a drink and a treat to satisfy that sweet tooth! Everyone is hard at work! We seperated the class into 2 groups so that each person could get more 1-on-1 instruction. This group is learning a basic hand stitch and what techniques you can do to assure a straight and even stitch every time. 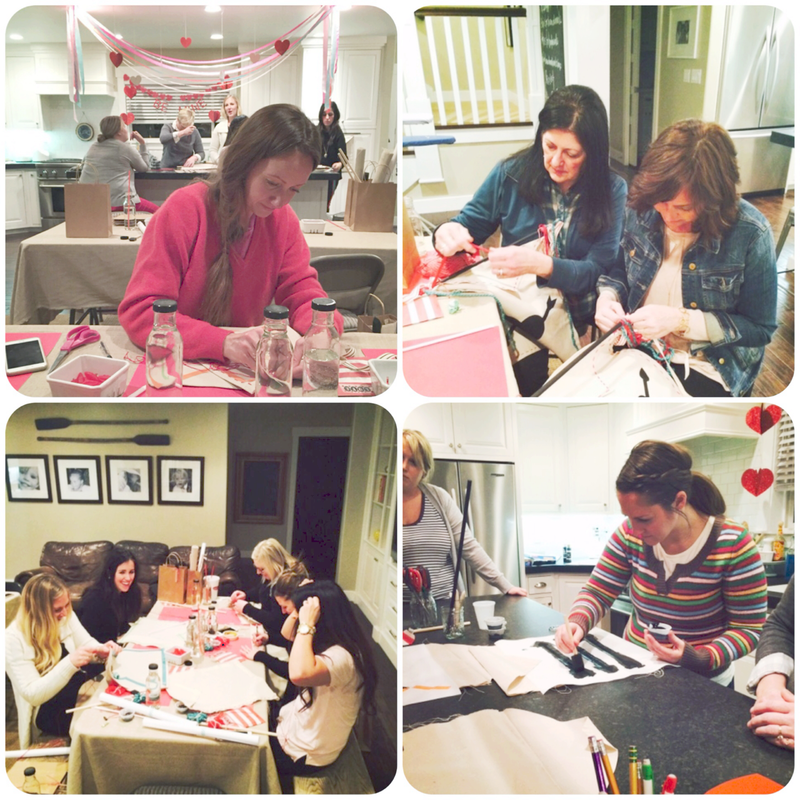 The group at the kitchen island are learning to make a freezer paper stencil and painting their envelopes. It was great to see how hard everyone was working and the determination to get this thing done and done right! I love this collage of everyone's busy hands! Great technique ladies! 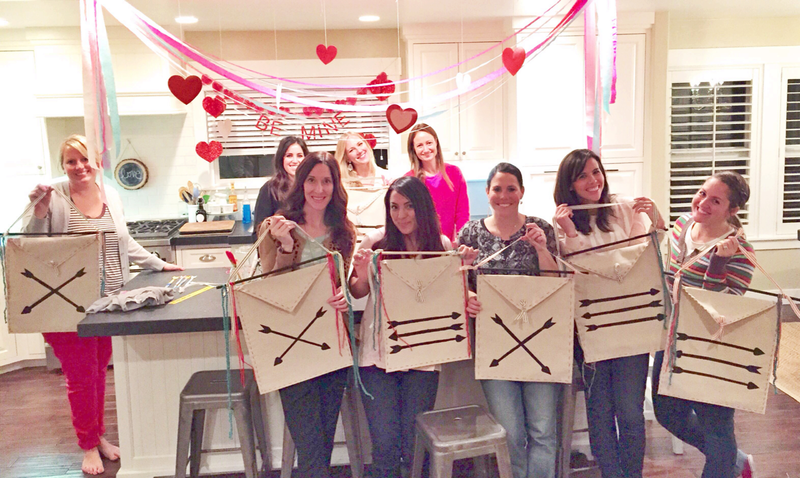 Here are some of the ladies taking a break and showing us their finished product! So proud - as they should be! Let the Valentine celebrations begin! Hope to see you at our next workshop! Stay turned for details! We are happy to announce the details of our very first event! Come and make this festive Valentine wall hanging to hold cards, candy and any other surprises you have in store for your loved ones! 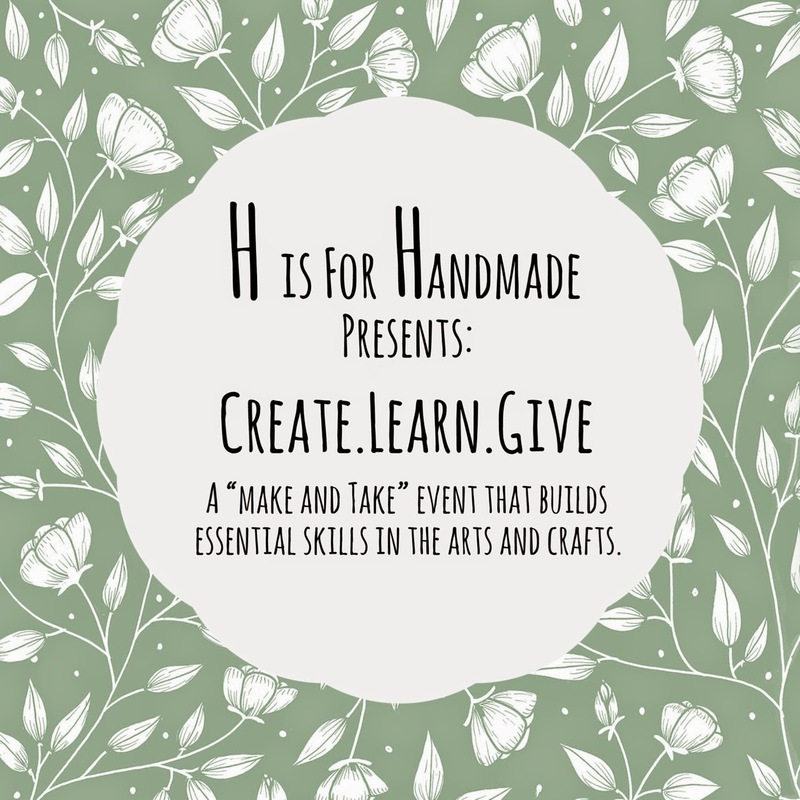 What is an H is for Handmade Workshop? In a nutshell, it's a craft night. A DIY venture. A make-and-take event. An opportunity to come and make something totally original, with no effort or demand on your part - all for a very modest fee to cover costs of materials, labor and instruction. The event will include all the supplies for you; we take the hassle and pain out of trying to scout the stores to find everything you need and if you even have a coupon for it! We give a full tutorial on the project and offer assistance and tips on assuring a good outcome. 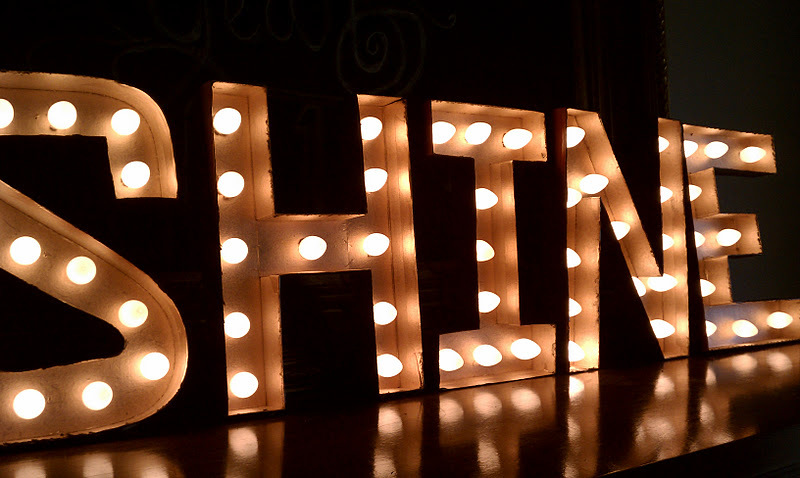 Aside from it being a learning experience, we also want it to be a fun evening in an intimate setting where people feel welcome and enjoy a night out! We are Amy Holmes and Meg Lewis, the creators of H is for Handmade Workshops. As two friends who share a passion for working creatively with our hands, and with over 30 years of combined crafting/artistic experience, we wanted to offer something that inspired people to gain knowledge in a variety of techniques. We believe that the lessons and invaluable tips that are taught in each class will generate a sense of confidence and accomplishment for a more skilled crafter. The two of us sit down and together we design an original craft, we sketch it out, we make a prototype and we make it happen. We put a lot of thought and time into what crafts people will not only want to learn, but to also have in their home. We are wives to superb men, we are mothers to perfectly silly children. We love treats and Netflix. We are devoted to our friends and Swig sugar cookies. We never take ourselves too seriously. We are believers of road trips and adventures. We are thrifty and resourceful. We love to share. We adore nice people. We love us some Jesus. We wear our PJ's more than one really should. We think we're pretty funny. We never have perfect nail polish. We like to stay up late. We want you to come hang out with us. We feel very passionately about giving back and seeing someones life blessed and changed with a helping hand. A portion of our proceeds will be put into a savings fund to someday provide a creative space for someone in need. We know there are so many deserving and struggling artists and crafters who's potential is unlimited if given the right room, a space makeover, supplies and tools needed. There are so many people out there who work hard, struggle to make ends meet and need that one little part of their home to indulge in their talents and create handmade work. 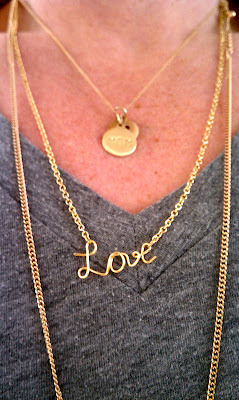 I have been receiving a lot of emails in regards to the gauge of the necklace. I recommend using either an 18 or 16 gauge wire. 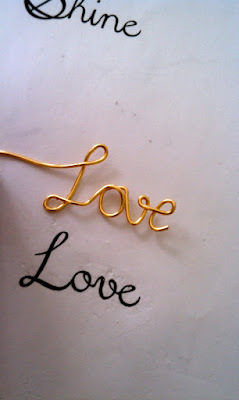 Please remember that the higher the gauge number, the thinner the wire is. Choose wisely depending on the word you wish to form. Thanks for your patience and support! Got the Monday/post holiday blues? No worries because today is a special day! Why? Because I get to showcase one heck of a gal! 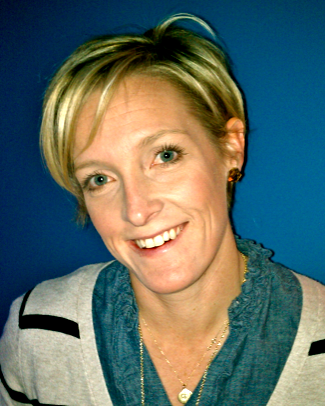 Allow me to introduce you to the ever so talented and charming Megan Lewis of Four Girlies. Yep, that's right folks. Not only is she creative and lovely in every sense of the word, but she is the mother to 4 beautiful daughters - A stellar mother, at that! Seriously folks - the kind of mom I aspire to be! A big round of applause for Megan, please! Hello I am Megan, a mother of four girlies that keep me busy. I love to get my creative juices flowing and making stuff. Sometimes I think that I use crafting and creating as therapy, but I mostly do it because my girlies love it and we work on things together. First, you will want to find a cursive font on your computer. It's important to find a font that connects all the letters together. Once you have selected a font, print it out at your desired font size. Now you can lay your wire out over the text and form your wire to your font. Finally, finish with a clasp of some sort and wear! The options are endless you could spell anything. 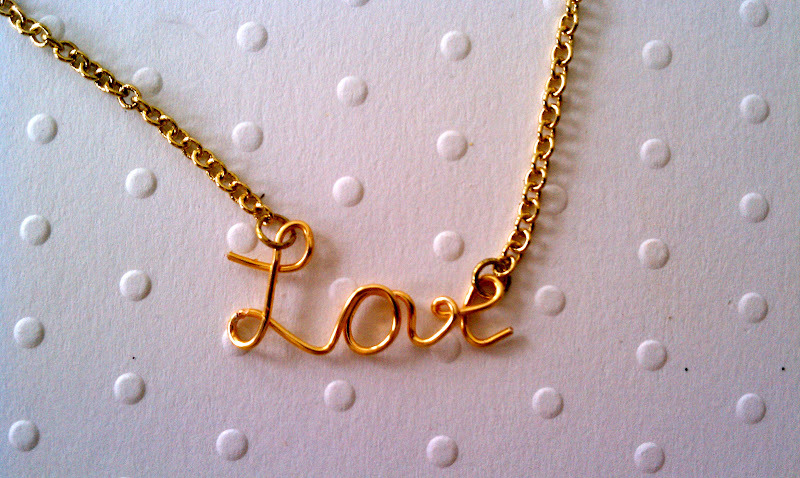 I have made a few personalized necklaces for gifts too! Want to see more of Megan's skilled work? How about this adorbs tent she made for her girlies? And be sure to check out Megan's blog for some seriously unique and creative party ideas! With four daughters in the home, there are bound to be some good times. Like this cereal party! Be still my beating heart! CEREAL PARTY!!??? Indeed! 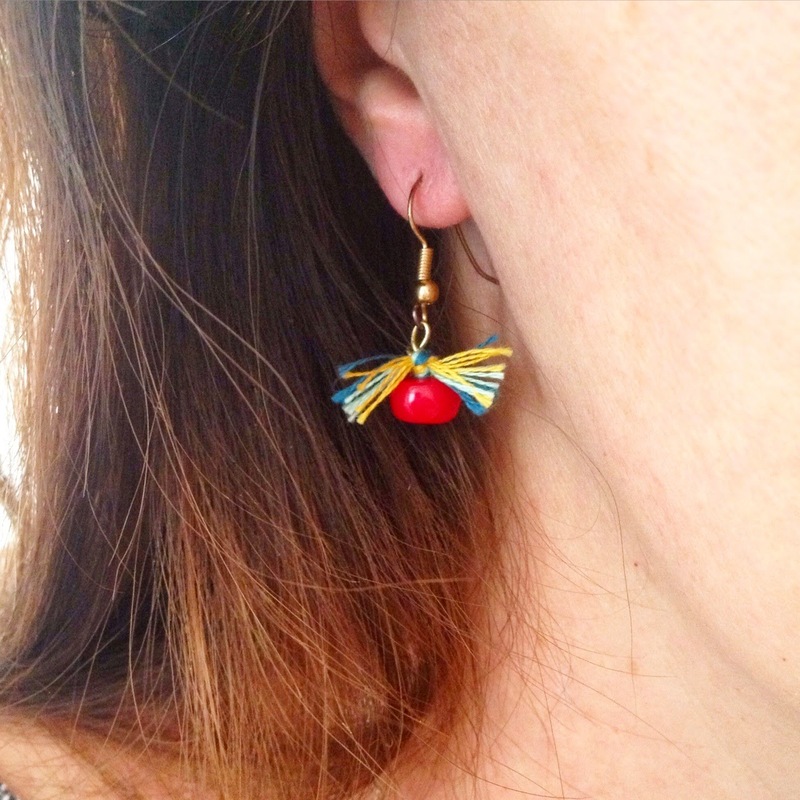 Thank you big time to Megan of Four Girlies for gracing the cyber pages of H is for Handmade! It's an honor and a pleasure! 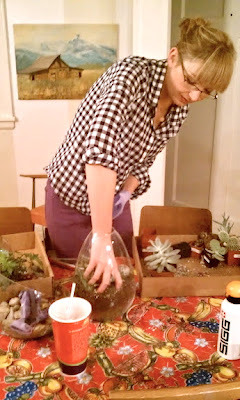 March DIY Club - Terrariums! 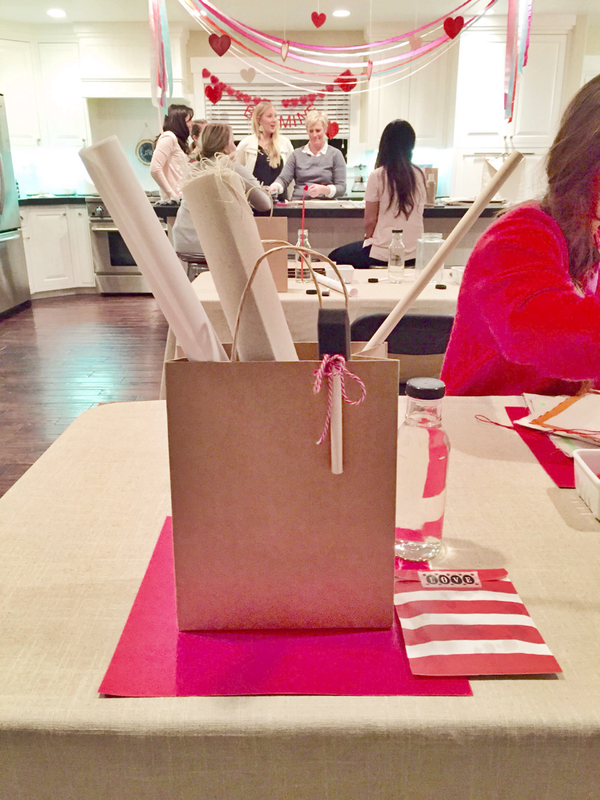 Last night was our monthly DIY club and I have to say that this craft was one of my favorites! 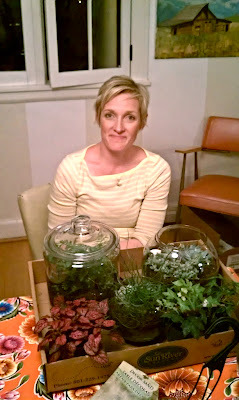 Our project this month was terrariums! I think I really liked it because it brought on a nostalgia of summer with the smells of soil and sand, the varying shades of green in all the various plants - a sign of life and existance, of thriving and flourishing! I have Spring fever in a bad way so this event was just what I needed to remind me that it is now here. Officially! 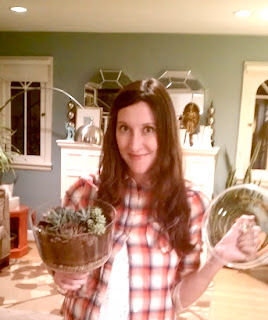 Rounding up these items was just as fun as making them, as I got to dig in my garden and pull up some of my very own succulents that have been neglected during the long winter months! For the other items, I got to stroll the isles full of plants and supplies at the nursery. I may have even teared up at the faint smell of fertilizer with the anticipation of warmer weather and blue skies! If I am ever having a bad day, I can always find healing and happiness in the garden department at Home Depot or my local nursery! We had a great turnout with about 15 women! So many tiny plants and pretty glass containers! Nicole getting dirt under her nails! Karisa trying to place her plants just right! Meet my new friend, Megan! 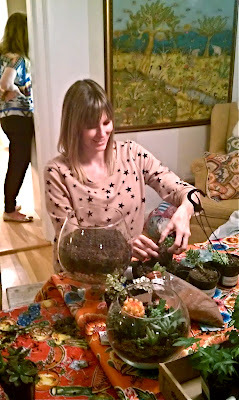 She made multiple terrariums...all of which were totally fab! She gets to take them home to all four of her daughters, whom I'm quite sure will love them! She has a cute blog - please be sure to check it out! The terrariums ranged from tropical to desert. I loved seeing all the different varieties! 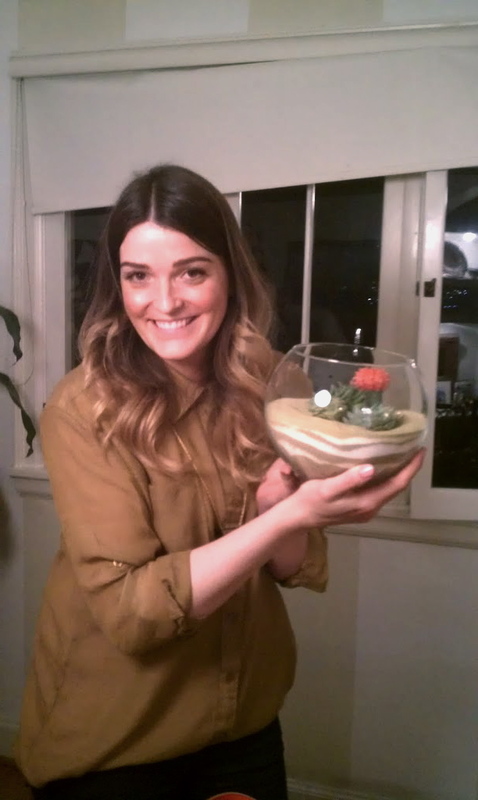 Amy shows off her desert scene with all the sand layers and brightly colored cacti! ME! I did more of a high desert scene. My container was a trifle dish with a lid and it worked perfectly! I liked the idea of a lid because it works as a greenhouse and you rarely have to water it. The plants will just keep recycling the moisture in the container. 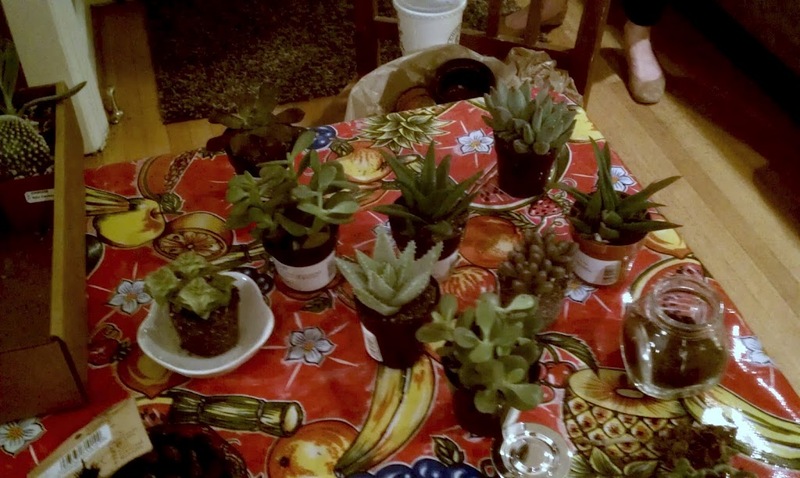 I was so excited to get it home and see it on my dining table! I loved how it turned out and what a difference it has made in the room! There are a lot of different ways of making a terrarium, depending on if you are using a closed container -vs- an open container so make sure you do your your homework! If there is one thing my soul is needing needing right now...it is sunshine! I want to Springtime to be here. NOW! We have been fortunate enough to have a mild winter here in Utah, but I am still craving the warmer days that allow us to ride bikes, take late night strolls through the neighborhood and above all, to see the beautiful colors that spring and summer gift us with! Since we are still a few months away from the warm and color filled days of spring, I decided to make something to help brighten up the inside of our home instead! I first went to my local thrift store and selected a variety of vases that I liked the shape and size of. I choose glass and plastic to work with, but I think tin or metal would work well, too! After I found my vases, I then selected a plate with a large enough flat surface to fit all the vases on. I had to try out a few as some of them had larger rims that wouldn't allow to vases to sit flat. This plate SCREAMS 1989! I so remember this decorating trend from my childhood! When I was at the thrift store, I saw that the vases were priced anywhere from $3.00 - .50. I can see how this project would get pricey so make sure you select one's that won't break your pocketbook! First, start by soaking your vases in warm water with dish soap. You will want to remove any film or buildup on your vases so that your primer has a clean surface to adhere to. I wasn't sure if I could put them in the dishwasher as some porcelains and glass won't stand up to the heat. 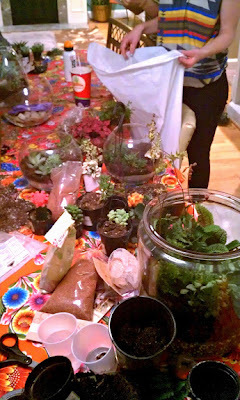 Plus, you will find there is A LOT or crap inside of used vases that you will need to get at by hand! HINT: CLICK! Arrange your vases onto your plate to your approval, and then take a picture of it. This will allow you refer to the photo and place them back the way you like after the pieces have been painted and glued without any wonder or worry of how you had them set up previously! Now apply your spray primer. It should only take 2 coats at the most. Remember that primer is NOT paint so it will go on thin and won't give it "color". It simply needs to create a bondable surface for your paint. Allow ample time for your primer to dry (refer to directions on can) and then apply your spray paint. It took 3 coats or paint for a few of my pieces, as they had darker images or color that needed to be covered up. You are now ready to apply the glue to the bottom of the vases and placed onto your plate. This is where your photo comes in handy! Let dry. 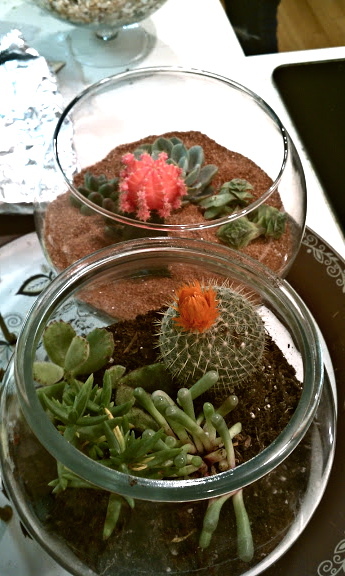 Once your glue has dried, use a cup to fill each vase with water and add your beautiful blooms! P.S. Wash by hand with a soft cloth and warm water when done using. Remember: Anything handmade is to be hand washed! 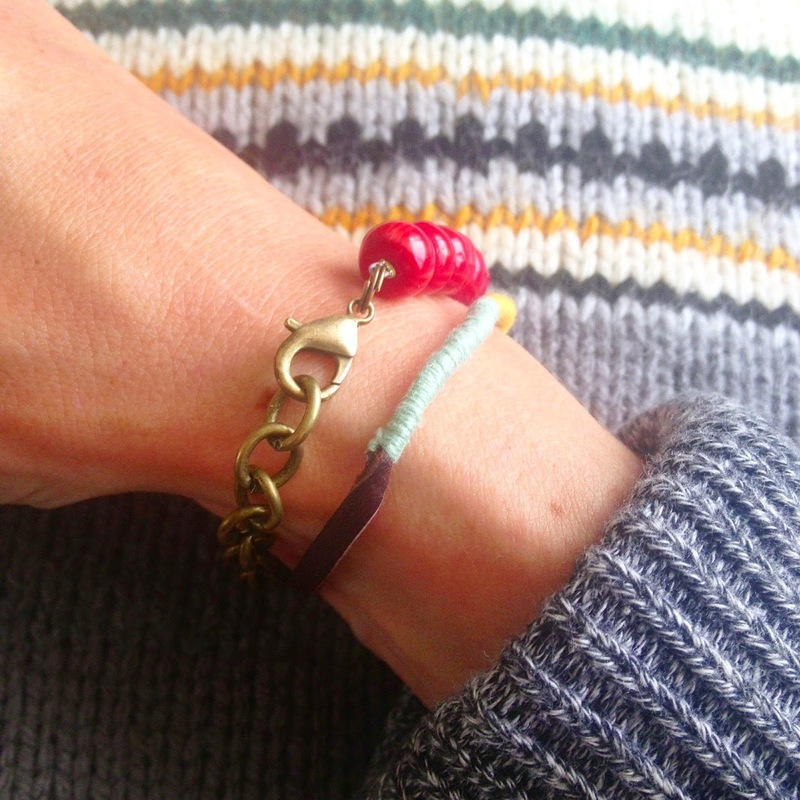 All content and projects produced by H is for Handmade are copyrighted and can be used for personal use only. Projects made from this site are not to be sold or used for monetary gain. Any use of photos or information from H is for Handmade must be credited.